In 1953, the Hebrew University of Jerusalem, Hassadah, and the Alpha Omega International Dental Fraternity embarked on a joint initiative and founded the Faculty of Dental Medicine. Today, the faculty provides the highest standard of dental medicine through training, research, and extensive community outreach programs. One of the outreach programs offers dental care for Holocaust survivors who would be unable to afford it otherwise. HU dental students in this program provide basic and advanced treatment under faculty supervision. As of 2015, approximately 45,000 Holocaust survivors were living in Israel under the poverty line. According to the Foundation for the Benefit of Holocaust Victims in Israel’s annual report, an increasing number of this population is forced to choose between food and medicine. Participating dental students not only gain valuable practical experience, they provide vital and life-changing services for an elderly population that has experienced severe trauma. 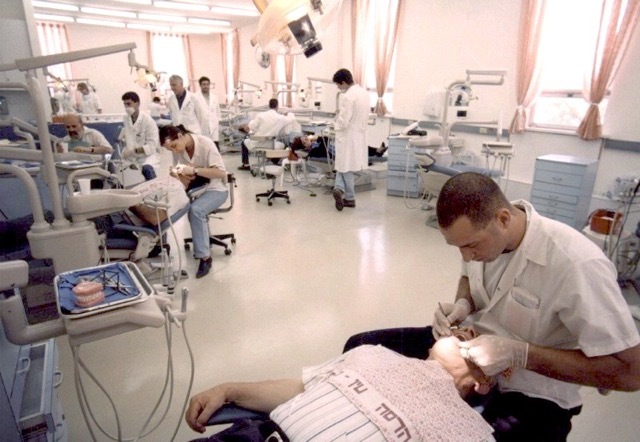 You can learn more about Hebrew University’s Faculty of Dentistry here.